Barzal, who became the seventh rookie in NHL history with at least 20 goals and 60 assists, and just the second to notch three five-point games, was humbled after being named the 2018 Calder Trophy recipient. It was a season to remember for Mathew Barzal, one in which he didn’t forget anyone that helped make it a reality. 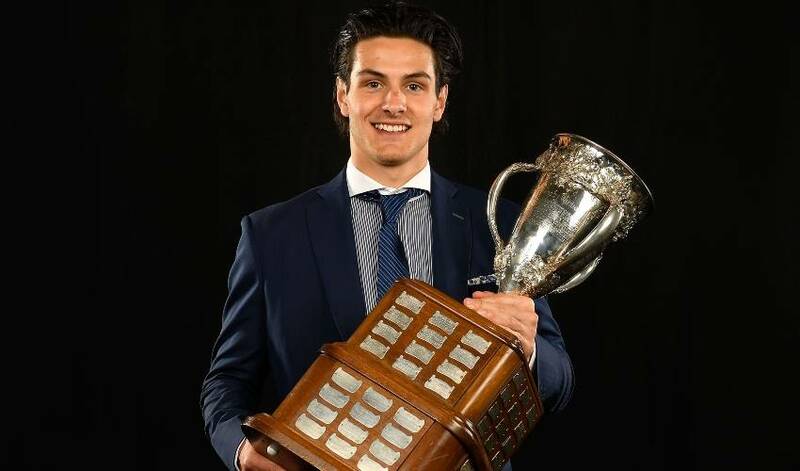 Recently crowned the NHL’s rookie of the year, Barzal, who became the seventh rookie in NHL history with at least 20 goals and 60 assists, and just the second to notch three five-point games, was humbled after hearing his name called as the 2018 Calder Trophy recipient. The 21-year-old was quick to recognize those who played a major role in his receiving the honour. The confidence the British Columbia native showed throughout the season was in stark contrast to how he felt during his first NHL game on October 15, 2016. There’s no doubt Barzal looked right at home in 2017-18. He led all rookies with 85 points (22 goals, 63 assists), counted five power-play tallies and four game winners over 82 games, while averaging 17:46 of ice time. Not surprisingly, hockey is a hot topic at Barzal’s parents’ home. And Barzal is only too happy to have those conversations.